GMFC continues to have a presence in the community. 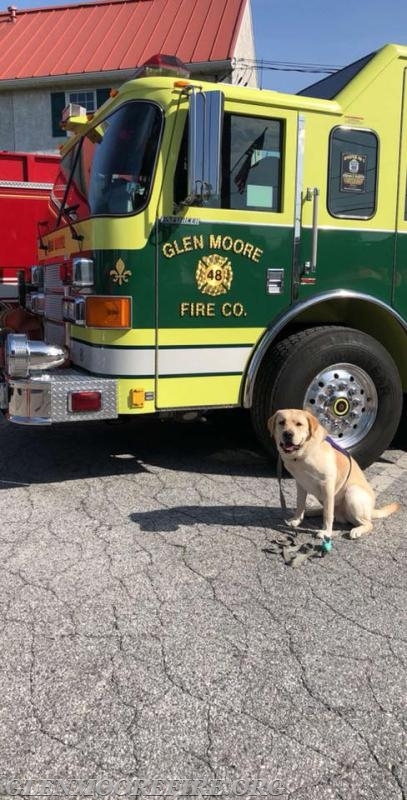 Even though the company had a busy week responding to emergency calls and participating in training, some of the members were able to represent GMFC at various community events. On Wednesday 6/13/2018, Engine 48-1 was on display at the World Martial Arts Camp "Hometown Heroes" day in Chester Springs, PA. The company was represented by Assistant Chief Andy Chambers; Firefighter/Chaplain Matt York; EMT/Junior Firefighter Sam Camp; and Firefighter Alex DiPaolo who also provided a career and safety presentation to the campers. On Saturday 6/16/2018, the fire company was invited to participate in the Upper Uwchlan Township Block Party in Eagle, PA. Engine 48-1 and Squad 48 were both on display. GMFC has the privilege of providing fire and emergency medical services to part of Upper Uwchlan Township. The fire company was represented by Assistant Chief Andy Chambers; Firefighter J.R. Phillips; Firefighter Ethan Matlack; Junior Nick DiPaolo; Junior Firefighter/EMT Max Quinn; and Junior Brad Quinn. GMFC would like to thank these members for sacrificing their time to represent the company in the community. Hanging out with Engine 48-1!